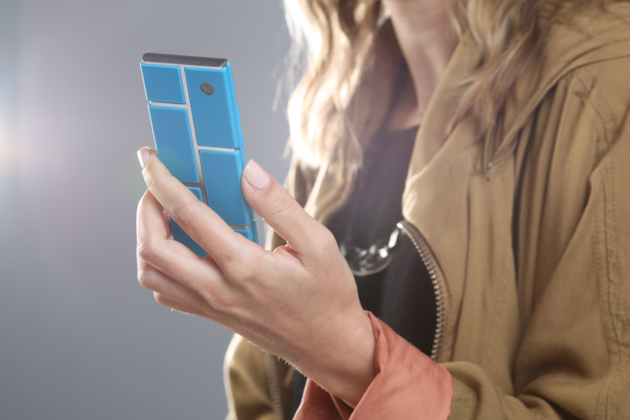 At the end of October, Motorola made a surprising announcement: it was working on an open-source initiative called Project Ara that would allow for the creation of modular, customizable smartphone hardware. It's an ambitious and seemingly unlikely project, but Motorola CEO Dennis Woodside says it's all part of a plan to make consumers more involved with building their smartphones. "Moto Maker was the beginning of a much more exciting and longer-term story," Woodside says in an interview with YouTube personality Marques Brownlee. "Ara is much further out, but you can see how those two things tie together, and how as we introduce new materials into Moto Maker we're gonna pursue that theme across our product line going forward."